2019 Syracuse Safety Stand Down! 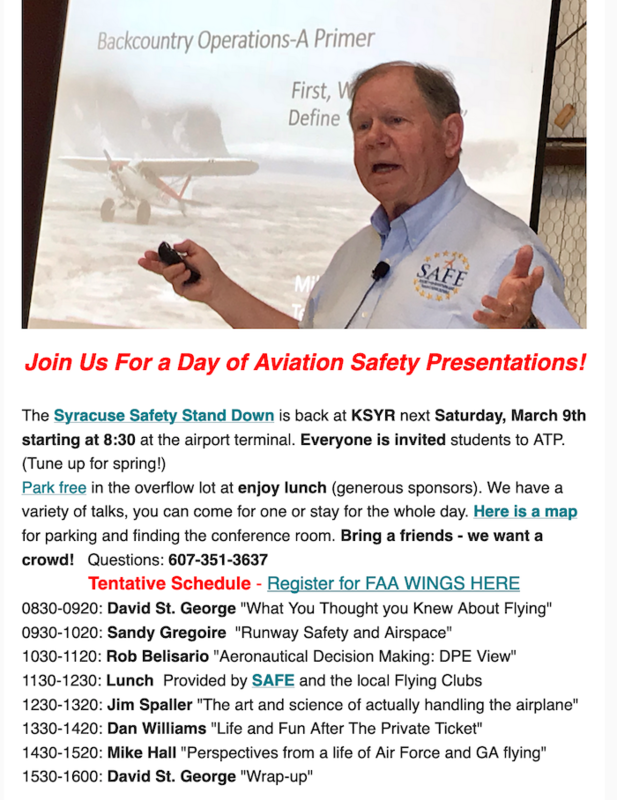 March 9th, 8:30 KSYR Terminal- 1st floor conf. room. Watch [here] for more details! Gene Benson: "Smart Pilots Die Young" David St. George: "Fly Safely: More Fun!" Thank-You for Attending Our Syracuse Safety Stand Down! 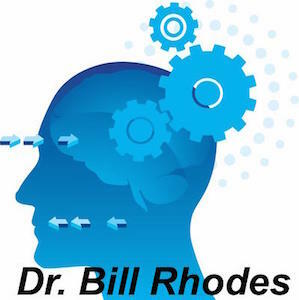 Dr. Bill Rhodes has addressed the enigma of pilot safety: ratings and hours do not seem to be any inoculation against accidents. Safe pilots have certain harmful traits. The "folklore" prediction that some pilots are "unsafe and will hurt themselves" is increasingly supported by hard data he is working to codify and publish. Since 70-80% of accidents are "pilot error" thinking and acting safer have a huge impact on your flying safely. Here is an article from Flying Magazine. Here is a good powerpoint review from Bill. One good pilot trait we can all incorporate in our flying is "not rushing." Bill identifies this as a hazard both in preparation for every flight AND in acquiring pilot certificates and ratings. Those involved "quick rating courses" and getting all the certificates NOW are much more likely to be involved in accidents; so much for immediate gratification! Take your time and learn thoroughly.